Kay Van-Petersen, an analyst at Saxo Bank, said in December 2016 that bitcoin would reach $2,000 in 2017, a feat achieved in May. 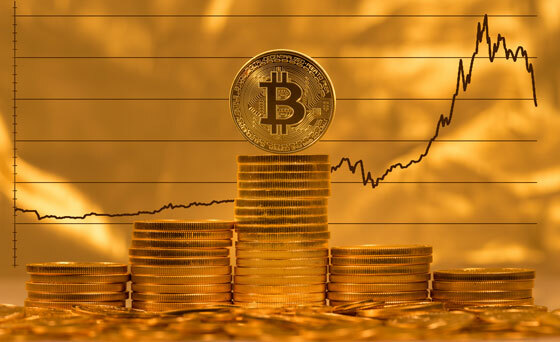 Van-Petersen now says bitcoin will be driven by a larger uptake of institutional investors and futures contracts and will reach the $100,000 mark. “First off, you could argue we have had a proper correction in bitcoin, it has had a 50 percent pull back at one point, which is healthy. But we have still not seen the full effect of the futures contracts,” Van-Petersen said. According to NBC News, the CME and Cboe both launched bitcoin futures trading contracts last year. The move was seen as a way to get more institutional investors involved in the cryptocurrency market and legitimize it. But trading got off to a light start. Van-Petersen said that more institutions will get on board over time, but it won’t happen quickly. Other major figures have poured cold water on the cryptocurrency space. Legendary investor Warren Buffett told CNBC that cryptocurrencies will come to a “bad ending.” And Jamie Dimon, CEO of J.P. Morgan, famously called bitcoin a “fraud”. Sign up to receive email news updates! *We won't share your info with anyone.